Update: This Friday (March 10, 2017) is March of Dimes Day! There’s no better time to help people of all ages live better lives. 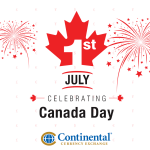 Just pay a visit to any Continental branch to give back. We hope to see you soon! Great news! 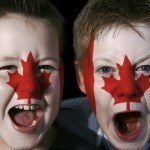 Beginning this holiday season, Continental Currency Exchange will be a proud supporter of March of Dimes Canada! March of Dimes Canada has long supported Canadians with disabilities, and we could not be more pleased to help contribute to their great cause. What initially began as a group of mothers literally collecting dimes to fund polio research has since grown into an Ontario and Canada wide initiative to support children and adults of all ages live better lives. From assistive devices to general research, March of Dimes Canada is one of the most respected and admired charity organizations in the country. With Your Support, Let’s Help! Pay a visit to any of our 19 branches across Ontario and you’ll find a green MOD collection container. 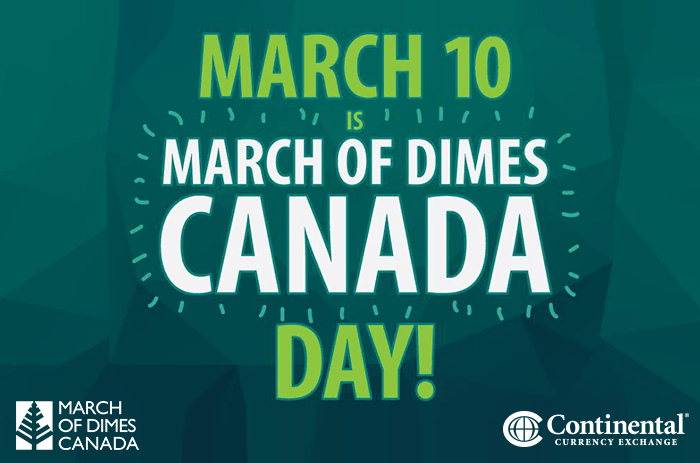 Any cash or coins you can spare will go straight to March of Dimes Canada. Only have foreign coins after your trip? That’s great! We’ll accept whatever currency you can offer. Shout out to our Sudbury branch who will be sending a big collection to March of Dimes before Christmas! You can learn more about March of Dimes Canada including their mission, initiatives, supporters, events, and other news at marchofdimes.ca. You can even find ways to get involved independently, including the old fashioned door-to-door method (that is, of course, how it all started)! So this holiday season, we’re proud to help bring a bit of cheer to Canada…and with your support the great people over at March of Dimes will be doing just that! Visit your nearest Continental branch to become a part of March of Dimes Canada’s great mission!